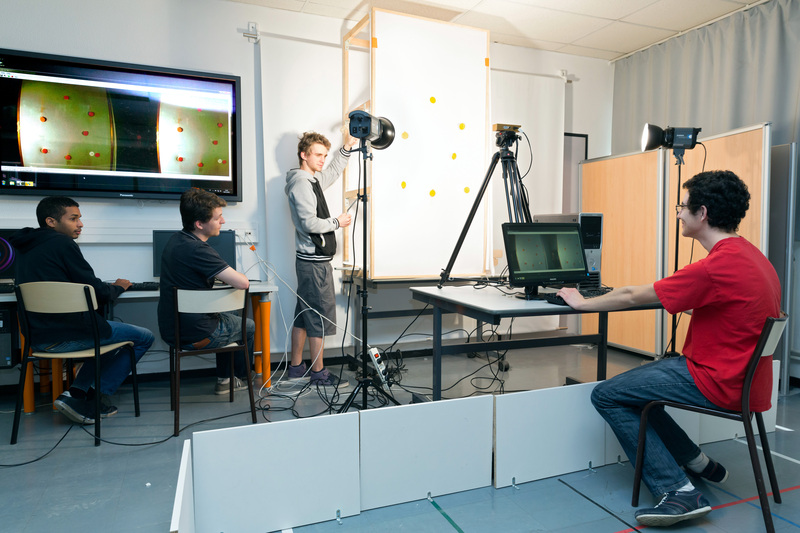 The Showroom is dedicated to Robotics, Simulation and Computer Graphics. It is located in a large room of the UFR IM2AG building. High-end hardware is available including modern PCs with GPUs, Kinect motion capture devices, Mindstorms robotics devices, a high-end stereo camera as well as a dedicated simulation workbench. 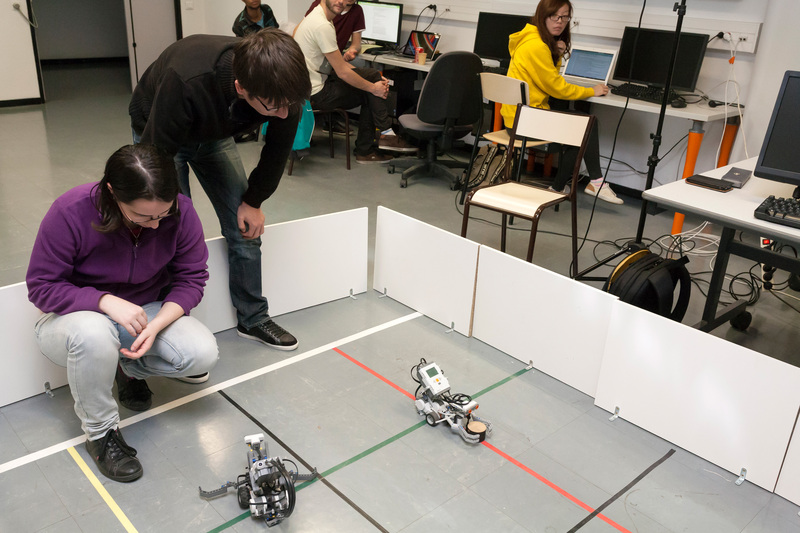 Current and planned activities include autonomous robotics with environmental perception, simulation of a deformable surface and the 3D tracking of its actual shape, real-time tracking and reconstruction of human motion ant its viewing with superimposition of data, exploration of large scientific datasets using 3D displays, reconstruction of 3D anatomy based on medical images, and virtualization of real-world objects using a 3D scanner.